Everyone likes a little luxury at bath time, and the Alto collection more than delivers. This set features 2 ribbed hand towels and 2 plain bath towels, all with a super-soft finish. The Alto collection was made exclusively for us in Portugal, a location famous for crafting premium pieces. These 480 GSM Egyptian cotton towels are super-soft and luxurious to the touch. 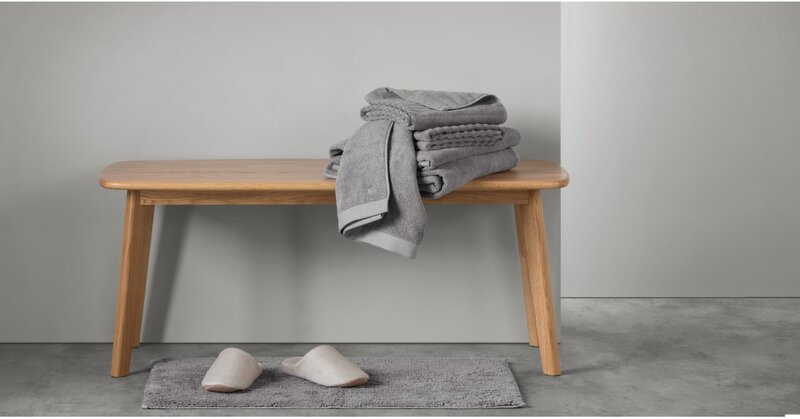 Not only are these easy-to-wash towels a luxurious choice, but we’ve ditched the premium price tag, making them wallet-friendly.